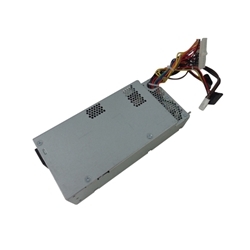 Description: New Acer 220 watt computer power supply. This may be the part you need if your computer is not turning on. This power supply only works with the models listed below. Compatible Part #'s: DC.2201B.00F, PS-5221-16A3, DC.2201H.003, D220R003L-AC01, CPB09-D220R, DC.2201B.003, PS-5221-06A2. Acer Aspire XC-100, XC-105, XC-115, XC-600, XC-602, XC-603, XC-603G, XC-605, XC-605G, XC-703, XC-703G, XC-705, XC-710, XC-780. Acer Veriton B430, X2120, X2120G, X2611, X2611G, X2630, X2630G, X2631, X2631G, X2632, X2632G, X4620G, X4110G.